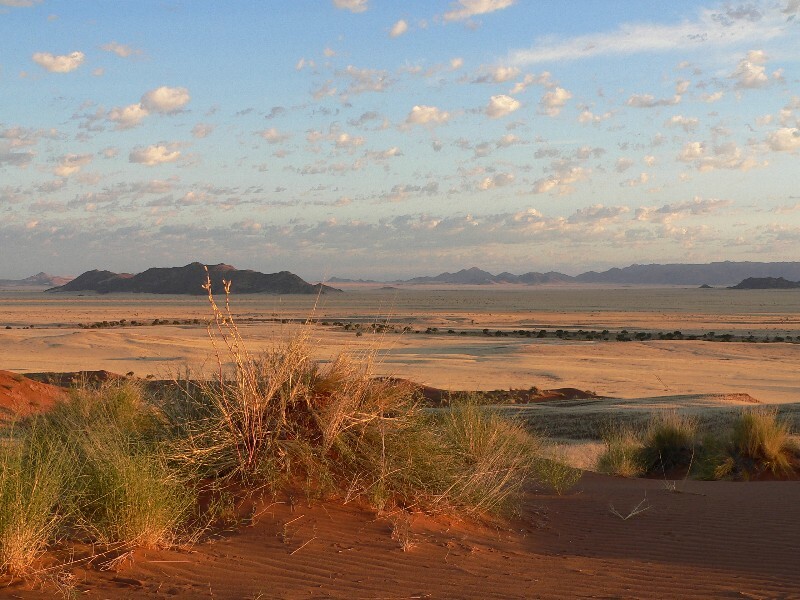 We need to arrive in Windhoek no later than 14:30 for our flight to the Namib Desert. 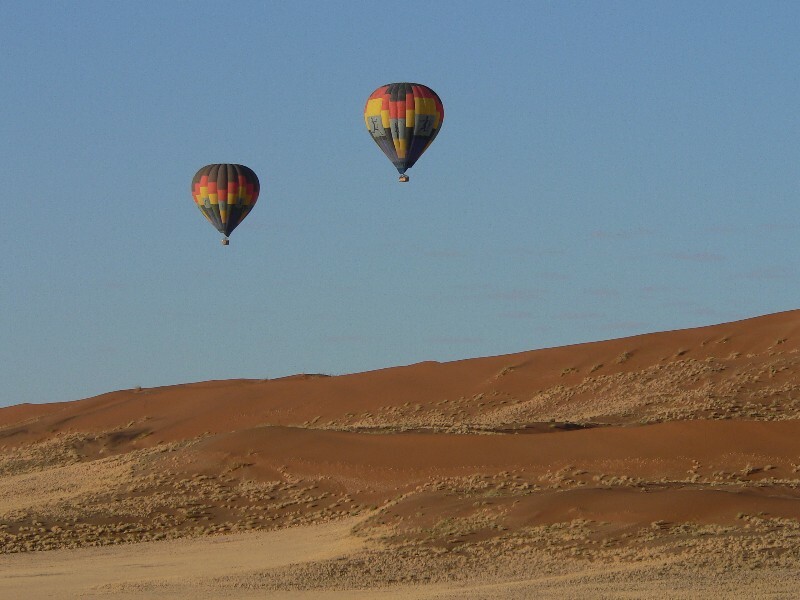 We enjoy a late afternoon flight that takes us over the Khomas Hochland and the great escarpment to the dune sea of the Namib Desert. 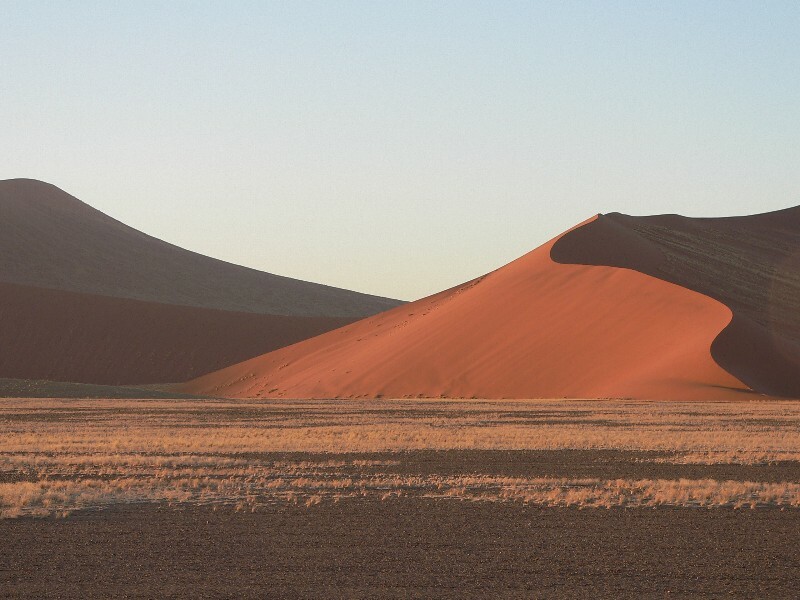 On arrival, we are transferred to our lodge, perfectly located, with views of the huge sand dunes that pave the way to Sossusvlei. 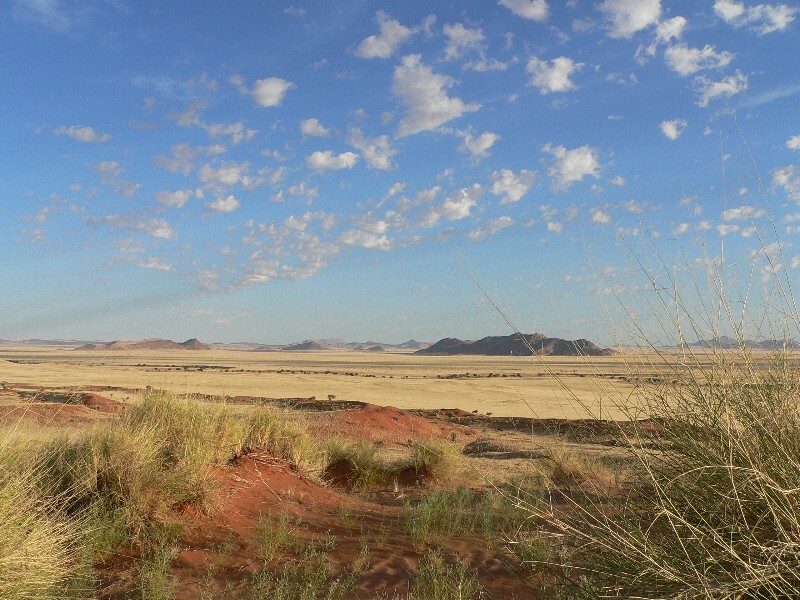 Lodge in the Namib Desert near Sossusvlei. 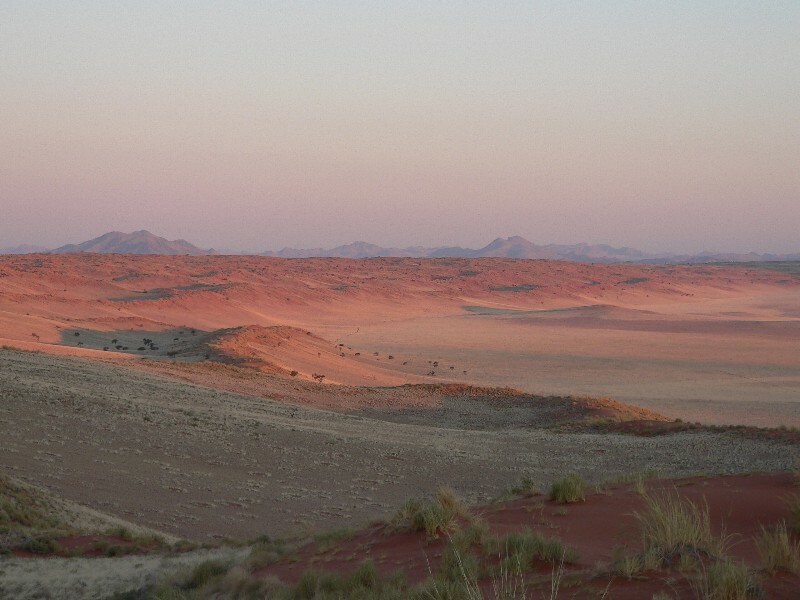 We depart before sunrise in our safari vehicle to Sossusvlei. 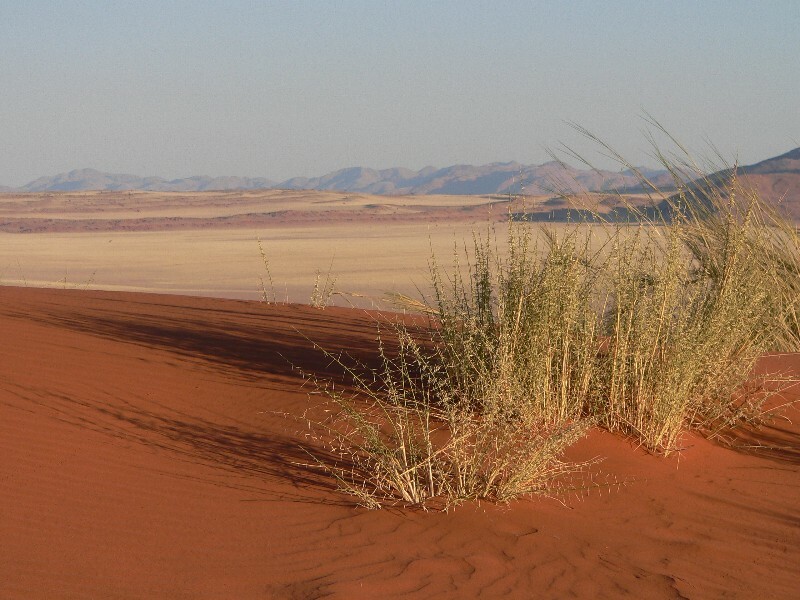 The Namib Dune sea is over 100 km wide. Our drive takes us along the Tsauchab River, which has carved out a perfect path, deep into the dune sea. 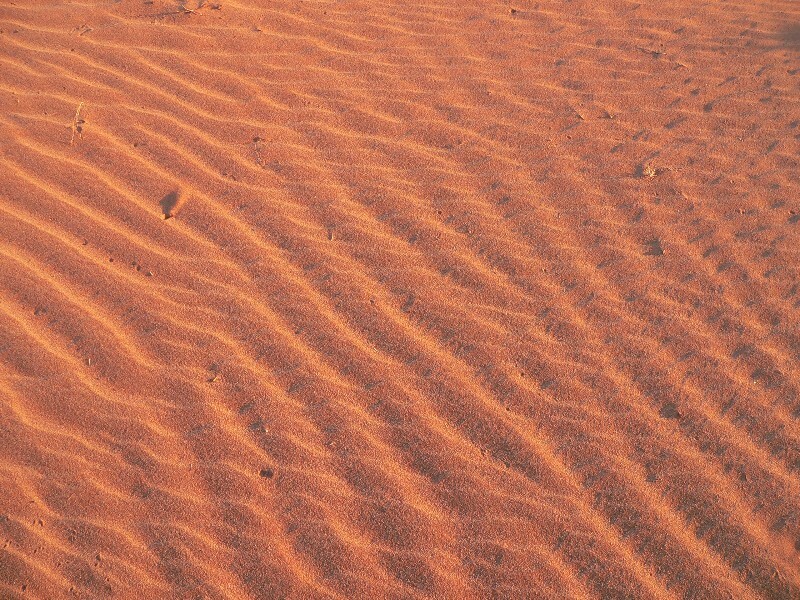 The dunes along the way reach up to 300 metres in height. 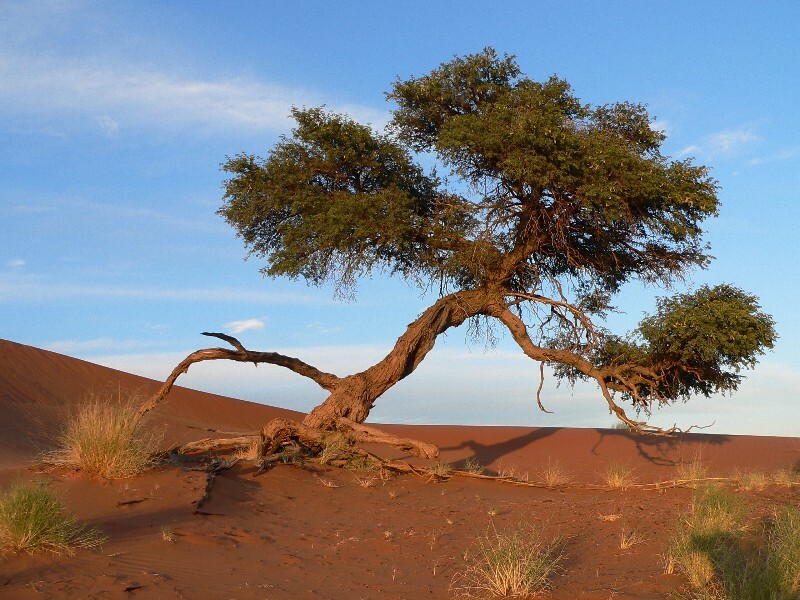 The path of the Tsauchab River has been cut off by the moving desert sands and it is here that we are able to explore this beautiful area on foot. 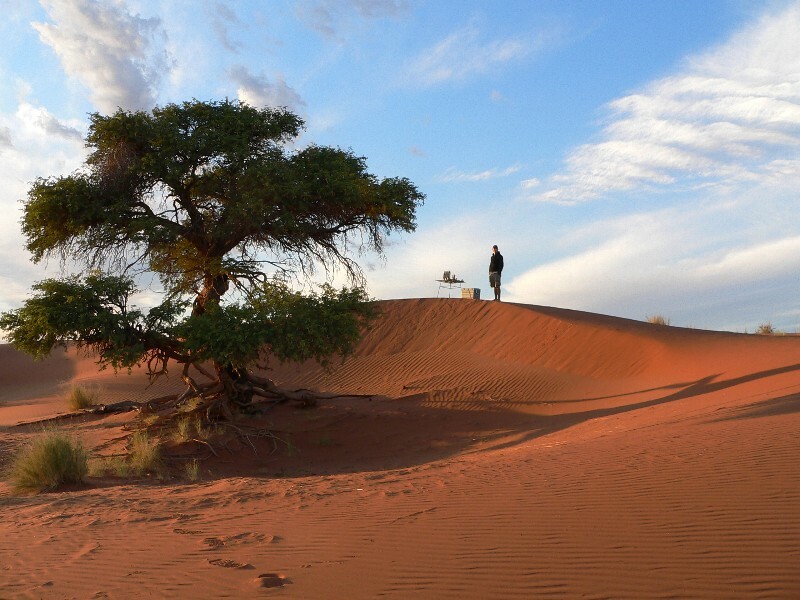 Our guide takes us to the famous Dead Vlei with its huge clay pan, surrounding red dunes and the eroded tree trunks of long dead Camelthorn trees. 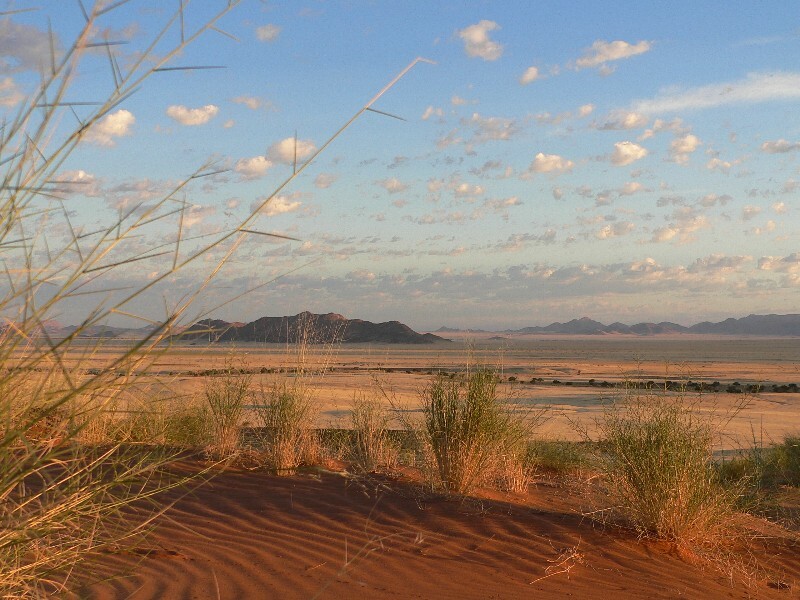 We may climb the dune overlooking Sossusvlei before sitting down to a fine brunch under the trees, with views onto the surrounding desert. 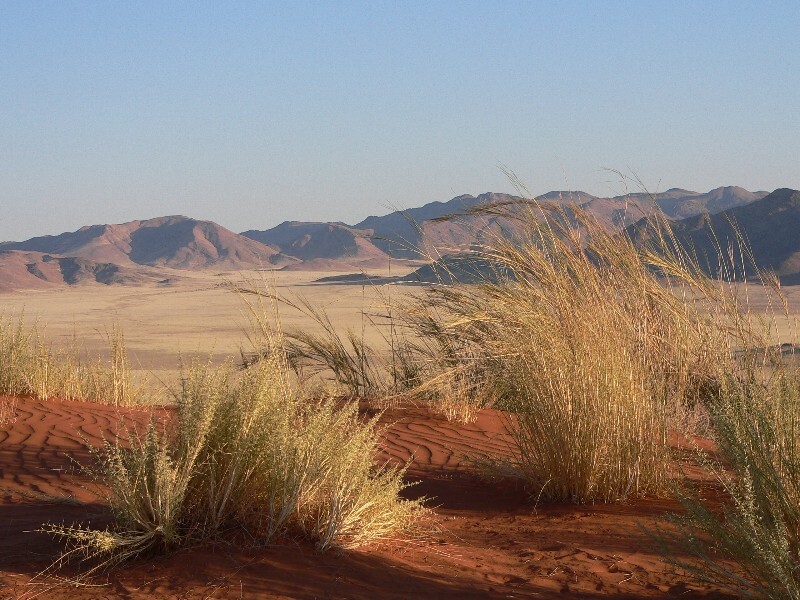 In the afternoon we will be transferred the relatively short distance to Wolwedans. 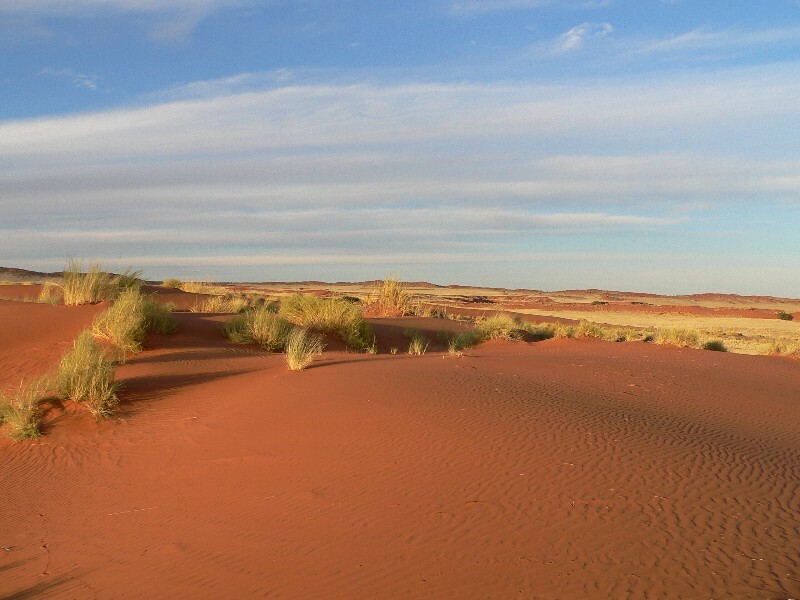 After a short rest, our personal guide takes us for a drive on the red sand dunes, to enjoy a sundowner taking in the endless views of the desert plains to the west. Lodge in the Namib Dune Sea. 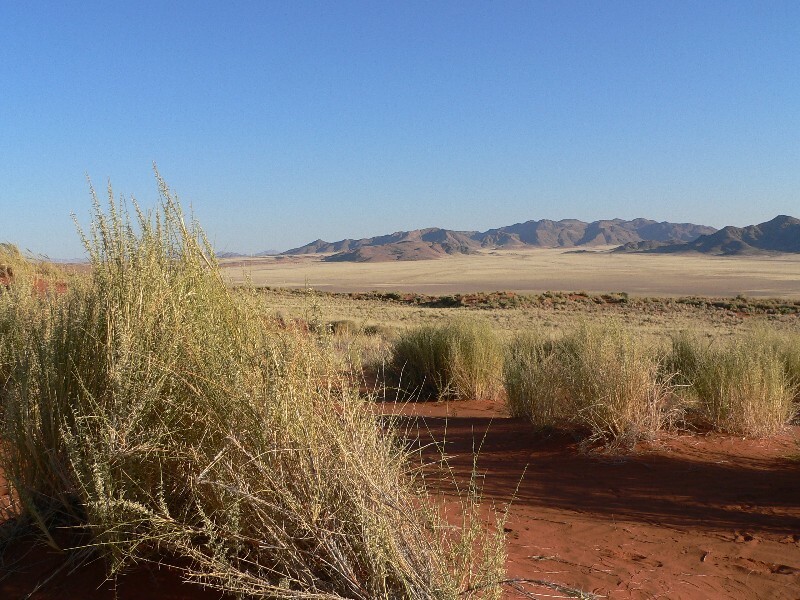 We have a full programme that takes us to explore the diverse desert landscapes of the Namib Rand nature reserve. 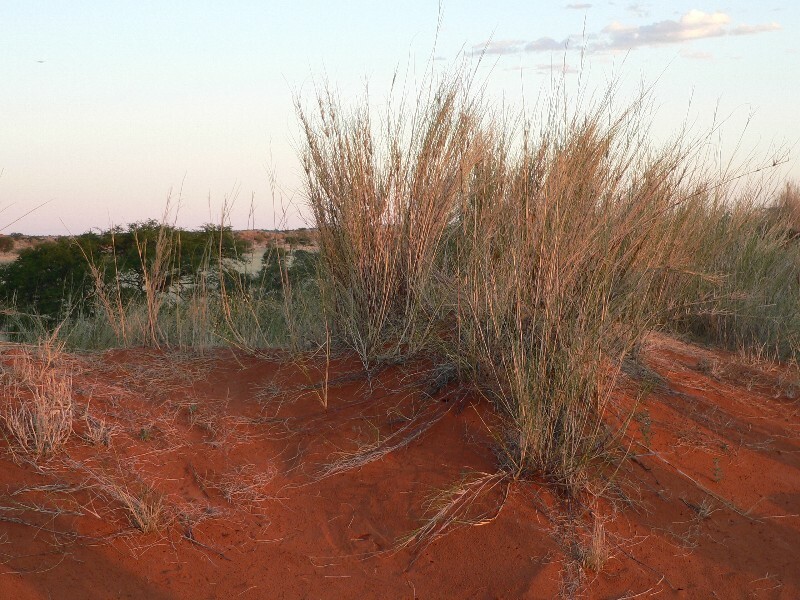 We experience life on top of the sand dunes, driving in this secluded world that is surprisingly well vegetated and home to many different animal species. 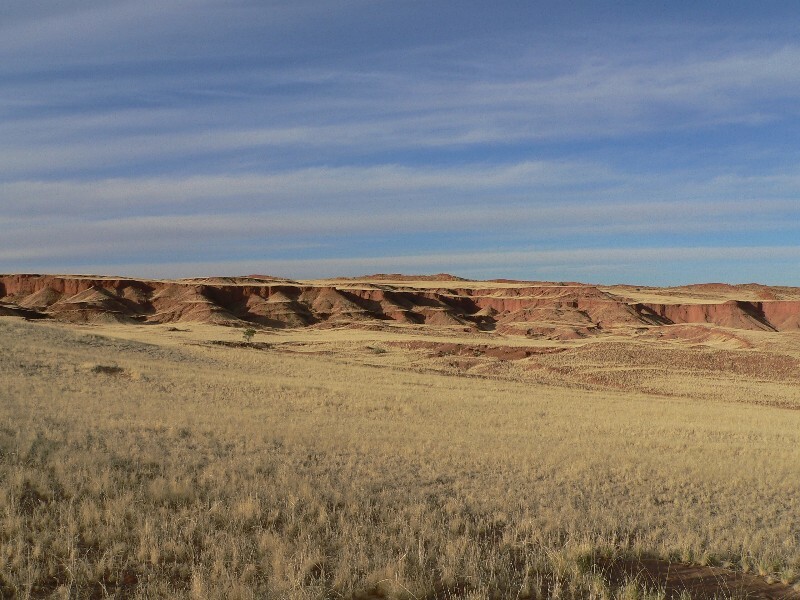 We travel down onto the desert plains, to the far blue mountains and on the way we are able to view some of the wild animals that are at home here. We may choose to enjoy lunch at the lodge in the dunes or at the “Hard Rock” Café, huge granite boulders that make for a perfect setting. We return to our spacious rooms to relax and enjoy sweeping views over this silent and beautiful landscape. 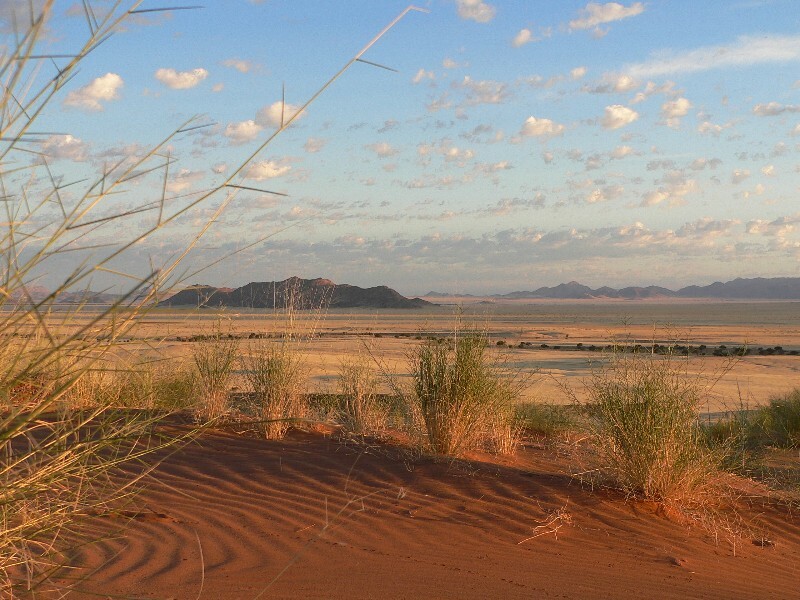 Lodge in the Namib Dune Sea. weather is good we can consider the beach or a later afternoon desert tour(at own expense). Dinner is a real treat and includes fresh fish and some of the finest oysters in the world. Hotel in Swakopmund on the Atlantic Ocean. 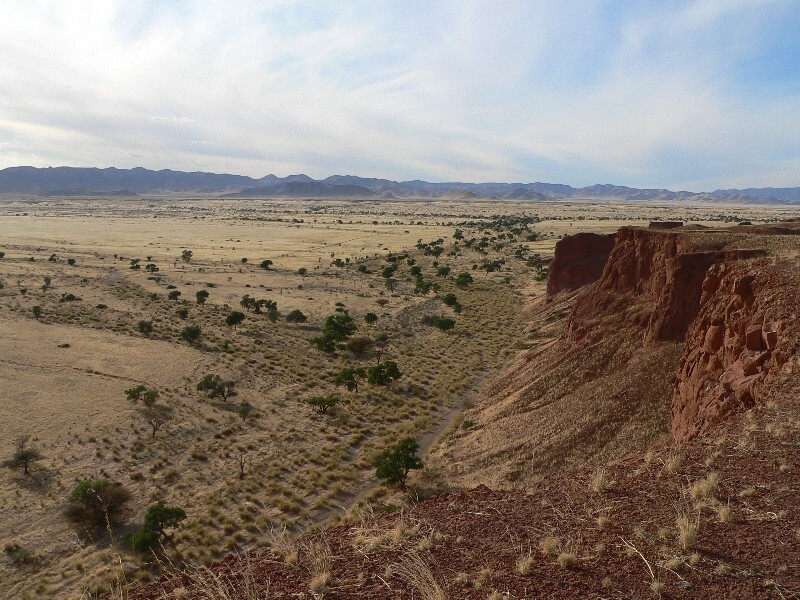 unique camp overlooks the Huab River valley, home to the desert adapted elephant and other interesting wildlife. After a short relax in our luxury tents with magnificent views over the valley, we may choose to take a guided walk or a nature drive into the Huab River in search of wildlife. 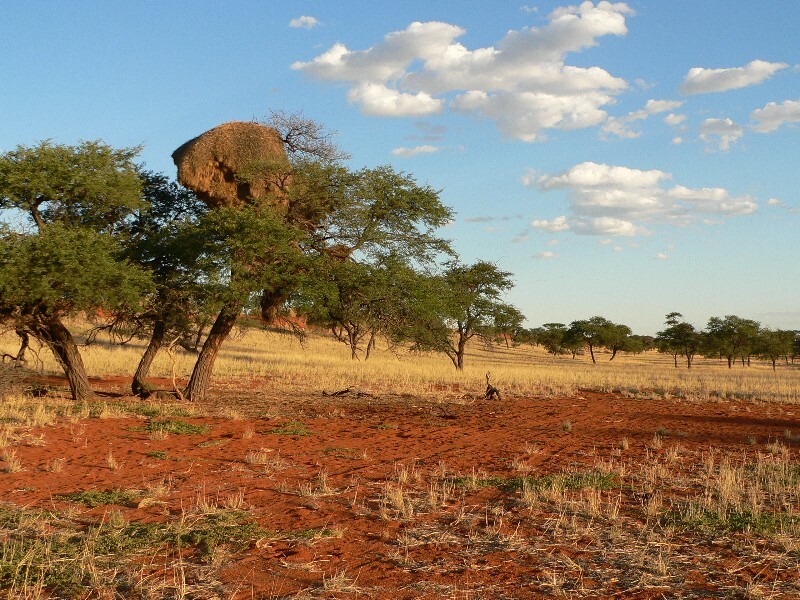 The geology of the region is fascinating and includes the nearby World Heritage Site at Twyfelfontein, bushman engravings that have been cut into the sandstone boulders of an ancient desert. We have the opportunity of visiting the engravings on this or the following day. Lodge at the foot of the Etendeka volcanic plateau in Damaraland. rainy season, this river may be a torrent of swirling waters, flowing all the way into the Atlantic Ocean. 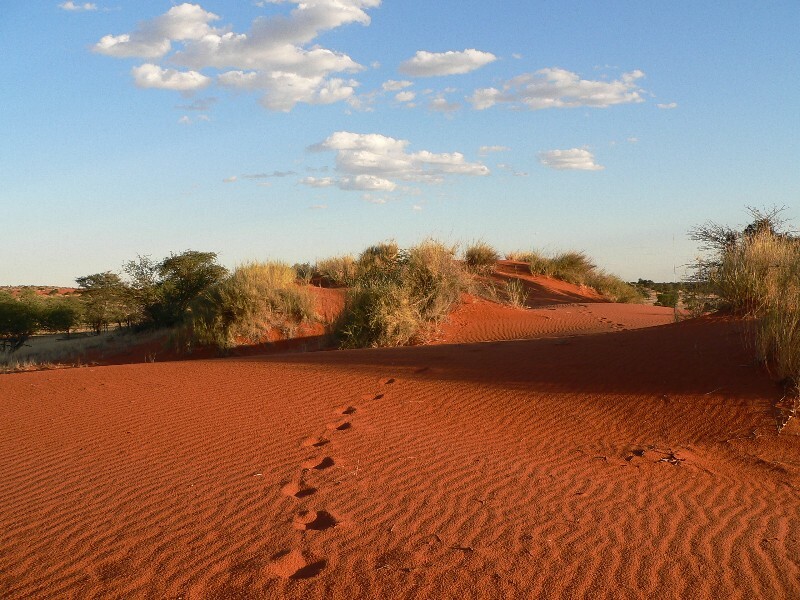 In the afternoon we may consider another game-drive or take a guided walk to discover some of the hidden secrets of this fascinating area. 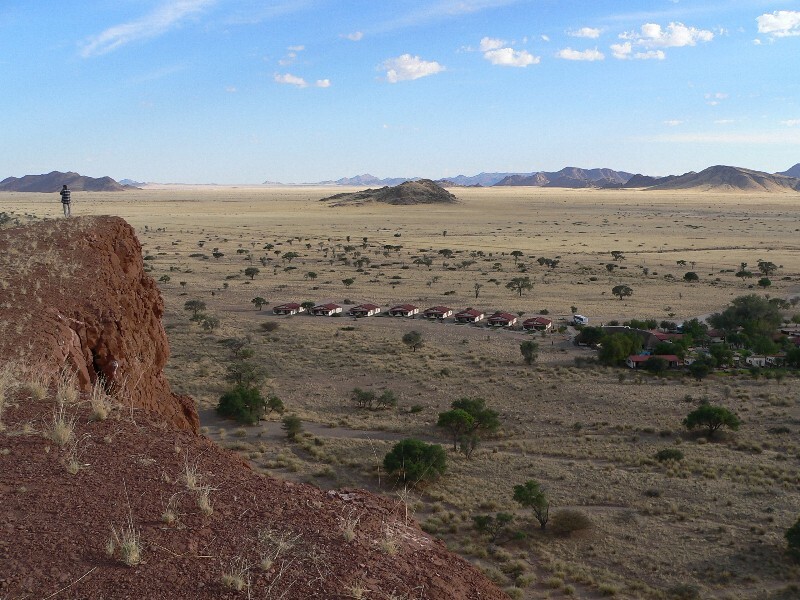 Lodge at the foot of the Etendeka volcanic plateau in Damaraland. We bid our final farewells and fly to Ongava airstrip to be transferred the short distance to our lodge. The lodge, built on one of the few hills in the area, overlooks Mopane woodland as far as the eye can see. Ongava is home to a good number of black and white rhinoceros and we have the opportunity of viewing them coming to drink at the lodge waterhole, over which our luxury bungalows have great views. Ongava is also known for its many predators including a number of lion prides which are often heard, if not seen coming to drink at the waterhole at sunset. In the afternoon we are taken on a game drive in the reserve to view the wildlife at close quarters. Dinner is enjoyed with a view over the endless Mopane savannah and the mountains in the distance. Ongava Game Reserve bordering the Etosha National Park. 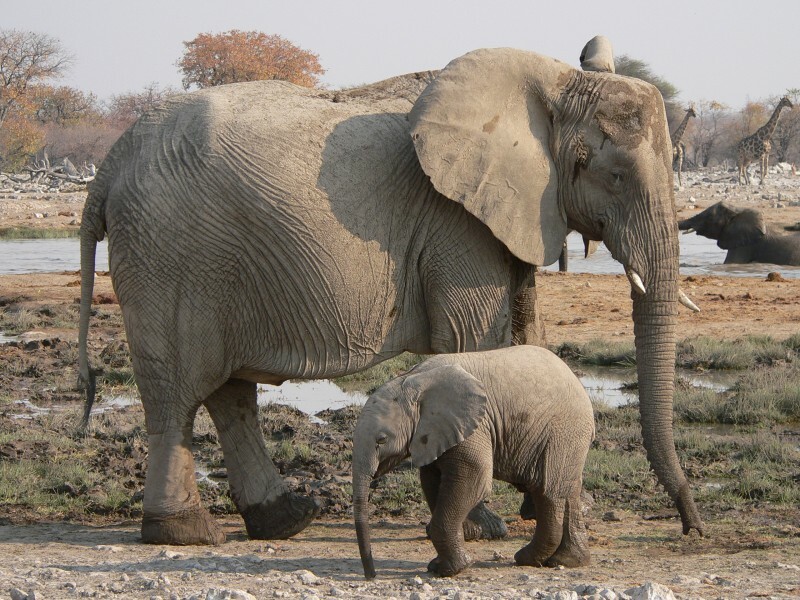 Today we have the opportunity to visit Etosha, the “great white place”, a park over 22000 sq km in size. Etosha is home to a huge variety of wildlife including many different antelope, elephant, rhino and of course various predators including leopard, lion, cheetah and hyaena. 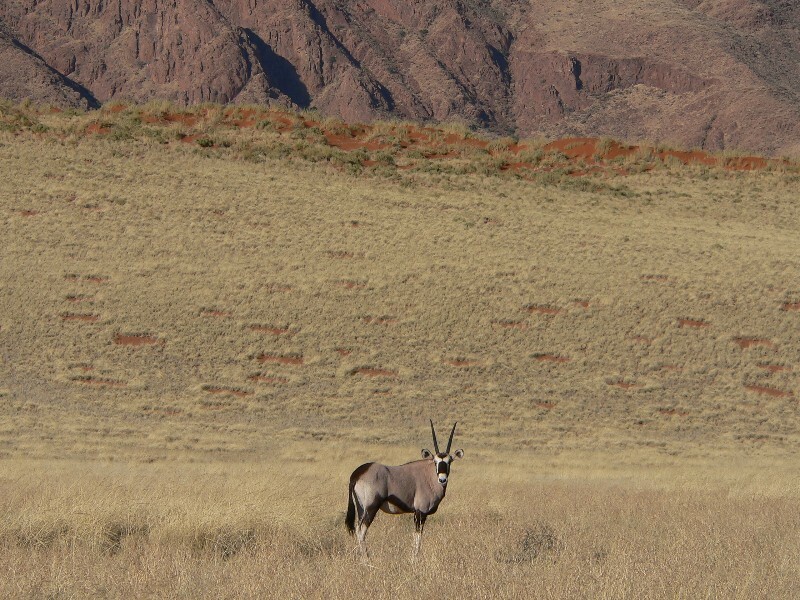 Namibia also boasts over 650 different bird species of which many are found in Etosha. We may choose to take a morning and an afternoon game drive into the park. The late afternoon can be spent on the view deck overlooking the lodge waterhole, where the thirsty animals show themselves when coming down for their daily drink. Ongava Game Reserve bordering the Etosha National Park. We may decide on a final early morning game drive or just take it easy and enjoy the comfortable bungalow with great views over this unique area. After a late breakfast, we transfer to the air strip for our flight to Windhoek. Once in Windhoek, we transfer to our hotel. We may decide to do a short city tour(at own expense) in the afternoon, if time allows. Luxury Hotel overlooking the city of Windhoek.